We all need to be taking care of our hearts. Now there's an easy, natural way to do so, plus it tastes great! 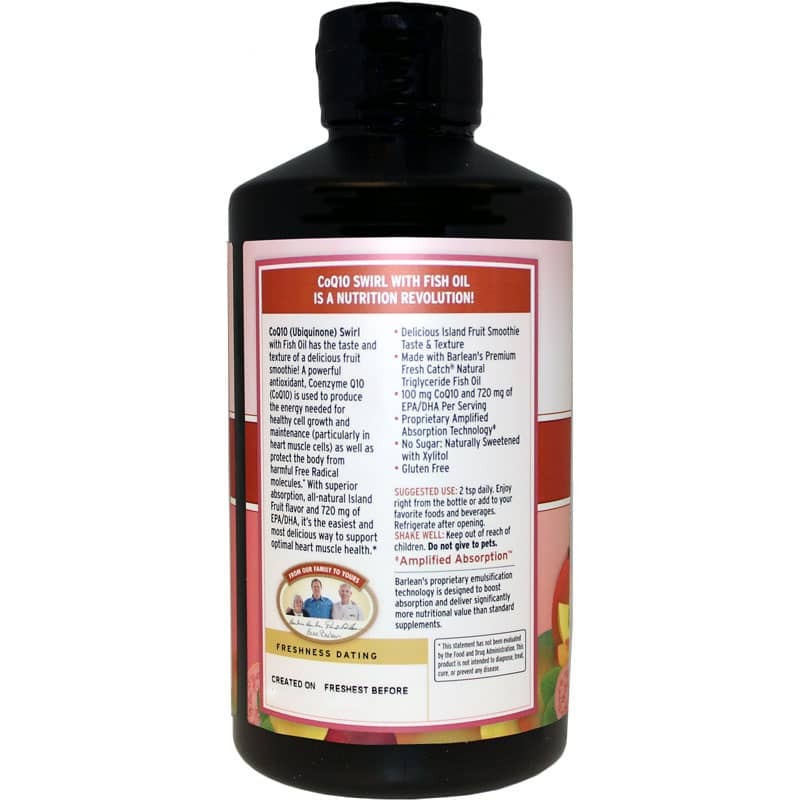 The CoQ10 Swirl from Barleans Organic Oils is complete with the taste and texture of a delicious fruit smoothie, making it the easy choice in heart health supplements. 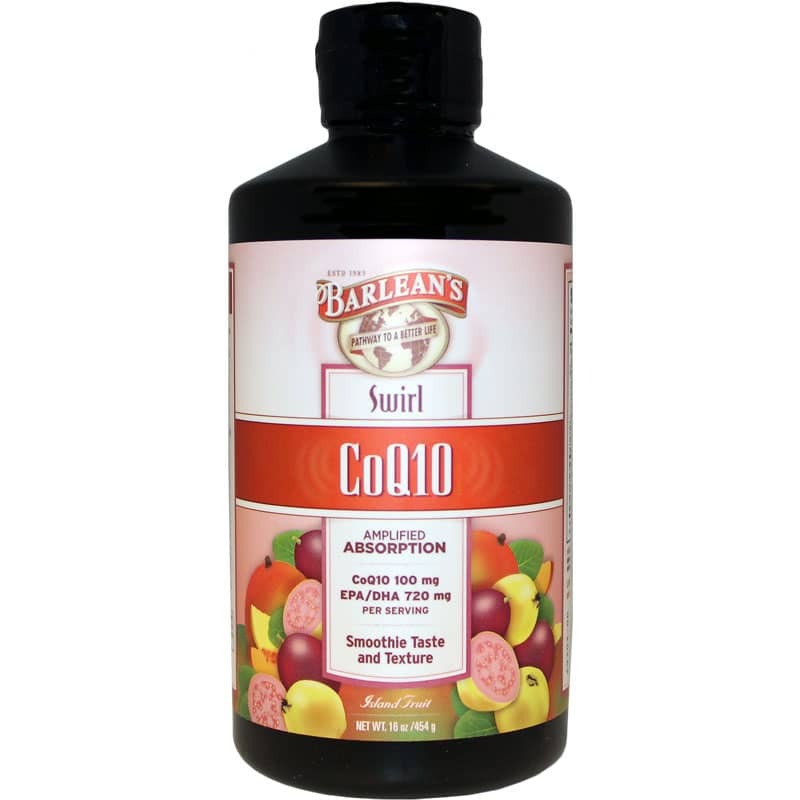 CoQ10 from Barleans Organic Oils is completely gluten-free and has absolutely no sugar, fishy taste, or oily texture. It's truly a joy to take! Take 2 teaspoons every day. Take straight or mix with juice, yogurt, oatmeal, cottage cheese, or a blended beverage. Keep refrigerated to maintain quality. Make the right decision for optimal heart muscle support. Choose CoQ10 from Barleans Organic Oils today! Ingredients: Water, Fish oil (Anchovy, Sardine and/or Mackerel), xylitol, glycerine, gum arabic, natural flavors, ubiquinone, lycopene and beta carotene, citric acid, xanthan gum, guar gum, antioxidant blend (Vitamin E [as d-alpha tocopherol], canola oil, rosemary extract and ascorbyl palmitate), and sorbic acid. Adult dosage: Take 2 teaspoons daily. 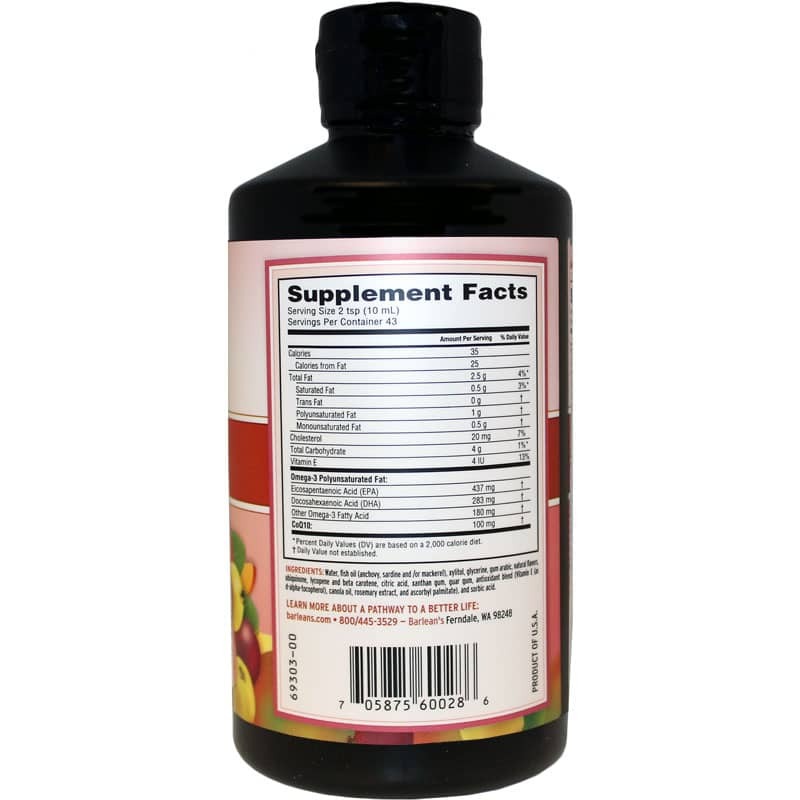 Can be taken straight or mixed into juice, yogurt, oatmeal, cottage cheese or blended beverages. Refrigerate for quality. What a pleasant way to take your vitamins! Wish all supplements tasted as good as this product. So easy to take.